A growing number of health care providers are strategically aligning with other sectors to collect data that allows them to gain a better understanding of patients’ social determinants of health (SDOH)—such as access to food, housing, and employment—as these factors have a profound impact on health. As Co-Director of Data Across Sectors for Health (DASH), I have witnessed the challenges faced by communities that are at the forefront of the movement to use multi-sector data to orient care around the whole person, and not exclusively on their healthcare needs. These early pioneers are often fighting an uphill battle, in part because there are no national standards or guidance for collecting SDOH data in health care settings and much of this work is happening in siloes. As a major payer for health services, Medicaid can play a key role in building the infrastructure necessary to bridge the gap between health systems and safety net systems. In the fall of 2017, I had the privilege of joining an Expert Panel convened by the National Quality Forum to develop a framework for state Medicaid programs to integrate health and non-health services, using food insecurity and housing instability as illustrative examples. The National Quality Forum and DASH have a shared interest in advancing measurement standards that can support local efforts to integrate multi-sector data and improve health equity. At the convening in Washington, DC, I joined a lively brainstorming session with clinicians, researchers, health plans, health systems, consumer advocates, and others, all offering their unique perspectives on how a measurement framework can support partnerships between health systems and community service providers. As a representative from DASH, I shared my birds-eye view of what we are observing around the country, including information from our Environmental Scan about how and why communities are sharing data, the barriers and facilitators to doing so, and opportunities to move the field forward. NQF conducted an environmental scan and literature review that uncovered a list of indicators, screening tools, surveys, and other instruments, along with emerging approaches to address food insecurity and housing instability. The list is included in the Appendix of the framework report and includes numerous practical resources for communities working to collect data from these sectors. SDOH Informed Healthcare: Healthcare providers can use information about social needs of patients in clinical decision-making, adjusting treatment decisions based on individual circumstances. For example, a provider could take a patient’s employment situation into account when recommending treatment options. SDOH Targeted Healthcare: Providers can ensure their patients are connected to community services to address social needs. For example, if a patient indicates they are homeless, the provider could refer them to a homeless shelter and other social service organizations. Policy, Systems, and Environment: Healthcare organizations can use their power to address social needs at a broader community level. For example, local organizations could convene around a Community Health Needs Assessment (CHNA) or utilize procurement policies to support the local workforce. Acknowledge that Medicaid has a role in addressing SDOH. Create a comprehensive, accessible, routinely updated list of community resources. Harmonize tools that assess SDOH. Create standards for inputting and extracting social needs data from electronic health records. Increase information sharing between government agencies. Expand the use of waivers and demonstration projects to learn what works best for screening and addressing SDOH. The implementation of these recommendations should be informed by early state and local efforts that are already in progress. For example, some DASH grantees are generating promising models for implementing coordinated, whole-person care systems that address SDOH, as documented in our recent issue brief on this topic. Some communities are already collaborating to develop shared lists of community resources and investing in platforms to support community referrals. To spread early lessons, DASH is partnering with other national programs to facilitate All In: Data for Community Health, a learning network focused on spreading innovative strategies for improving health through multi-sector partnerships to share data. The NQF recommendations affirm what DASH and All In are already learning from community-level data sharing initiatives about national and state level policy actions that are needed to advance their work. The report highlights important next steps, and it’s the job of policymakers and other high-level decisionmakers in the field to figure out how to make them a reality. DASH and All In are working to drive the development of a shared agenda that can help advance some of these recommendations. For example, in November of 2017, we participated in a convening hosted by SIREN to work towards harmonizing tools that assess SDOH and developing standardized methods for capturing and coding SDOH data within electronic health records. For the past two years, my DASH Co-Director Peter Eckart and I have also joined other stakeholders to provide feedback on the National Committee on Vital and Health Statistics (NCVHS) framework for measuring community health and well-being, which categorizes and prioritizes key SDOH indicators. DASH will continue to participate in the national conversation and share these tools and resources with communities as they become actionable. 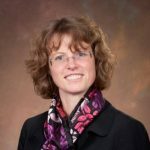 Clare Tanner, PhD, directs the Center for Data Management and Translational Research at the Michigan Public Health Institute (MPHI) and co-directs Data Across Sectors for Health. MPHI is a non-profit organization based near Lansing, Michigan. Dr. Tanner’s current work focuses on issues related to high quality and accessible primary care, linkages between healthcare and public health, and the relationship between electronic documentation and the triple aim outcomes of improved health, better care, and lower cost.